This all-Canadian will and estate planning site will help you make money, save money, and protect your wealth for your enjoyment and that of your beneficiaries. It will also provide peace of mind by providing you with streetsmart tips, insights, and practical advice. You will find this site contains invaluable information, helpful tips, and guidance on all the key areas of will and estate planning. 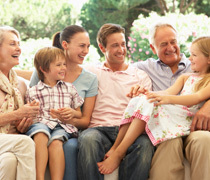 This will include special issues such as: charitable giving, trusts, tax planning, legal issues, dealing with US assets, business succession planning, retirement and financial planning, avoiding family conflict, enduring powers of attorney, living wills, insurance, real estate, vacation properties, probate, selecting professional advisors, selecting retirement homes, funeral planning, and much more. By applying informed decision-making, you can make the right decisions that suits your needs, goals and comfort level, and avoid the classic pitfalls. This site was designed for Canadians to provide objective, practical, and helpful information to assist your sound judgment. The site contains useful checklists, charts, articles, educational resources, books, sources of information and glossary. The site will be updated on an ongoing basis to keep it fresh and current.